On 18 April 2019 Hubble is celebrating its 29th year in space. For this anniversary NASA and ESA dedicated a small amount of its precious observation time to take a look at the beautiful Southern Crab Nebula. This beautiful nebula is created by the ejected material of a red giant, which is in close interaction with a white dwarf star. This animation takes the viewer on a journey to explore how the Southern Crab Nebula came to form its iconic shape. This video takes the viewer on a journey into the 29th anniversary image NASA/ESA Hubble Space Telescope, the Southern Crab Nebula. This peculiar nebula, which exhibits nested hourglass-shaped structures, has been created by the interaction between a pair of stars at its centre. The unequal pair consists of a red giant and a white dwarf. The red giant is shedding its outer layers in the last phase of its life before it too lives out its final years as a white dwarf. Johns Hopkins University scientist Kirby Runyon and his colleagues have proposed new criteria for classifying a planet that would not only label Pluto a planet again, but would label 100 other objects in the solar system as planets, too. 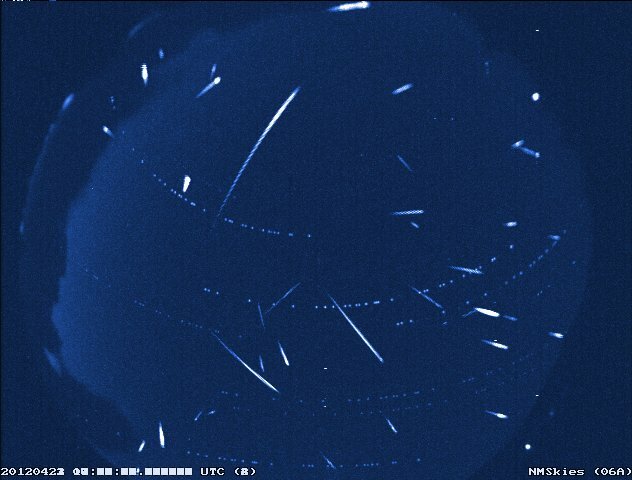 The annual Lyrid meteor shower is active each year from about April 16 to 25. In 2019, the peak of this shower – which tends to come in a burst and usually lasts for less than a day – is expected to fall on the morning of April 23. No matter where you are on Earth, the greatest number of meteors tend to fall during the few hours before dawn. Last edited by Star Tsar; Today at 14:41. Scientists on the airborne observatory SOFIA detected the first type of molecule that ever formed in the universe. They found the combination of helium and hydrogen, called helium hydride, in a planetary nebula near the constellation Cygnus. This discovery confirms a key part of our basic understanding of the early universe and how it evolved over billions of years into the complex chemistry of today. Annie Wilson with your space & astronomy news for the past day.